While the weather gets cooler, now is a good time to bring your vehicle in for a pre-winter inspection. This will help improve the mileage, efficiency, and performance of the vehicle when you drive. It should be brought it on a regular schedule to help keep it operating correctly. We will also recommend to you what the schedule should be to bring it in. This way all the parts are inspected as often as they should be. You can also check the owner’s manual to ensure that you are staying up to date on the maintenance it requires. 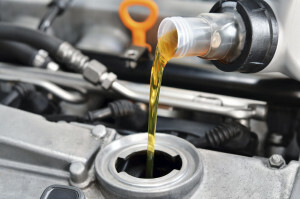 The oil and other fluids should be checked for the vehicle. Oil is essential if you want to have your vehicle operate without any issues. If there is not any oil, then the vehicle can seize up completely. The oil will keep the engine and other parts lubricated while it operates. If the oil is old, there is a greater chance that it can become almost like a sludge type liquid. This will impact the performance of the engine and alternator when you drive. There should also be an inspection of the other fluids that your vehicle has. This can be the power steering, transmission, brake, or even the coolant. If one of these are less than ideal, then it should be flushed and replaced. We can inspect the fluids to ensure they are in the best condition. A regular schedule can help to keep them efficient for your vehicle. Also make sure to be aware of any sign of a leak from your vehicle. This can add up to a costly repair bill if you continue to keep ignoring it. You will also want to avoid the chance of your vehicle breaking down when you are on the road to or from your destination.